Throughout the evolution of Artbees we have been privileged to witness the birth of thousands of beautifully crafted websites created by our own users. One of the sectors which is getting powered by Artbees Themes is non-profits. 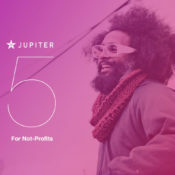 In our interview with Micah Blumental we’re discussing the capabilities Jupiter has to offer to empower great websites for non-profits for a very low price.